How did he leave despite lookout notice, questions Yechury; Congress Demands FM's resignation for "colluding With a Criminal". New Delhi: Even as Finance Minister Arun Jaitley denied having discussed anything serious when fugitive liquor baron Vijay Mallya 'approached' him in Parliament just before he fled to the United Kingdom in 2016, Opposition parties stepped up pressure on the Modi government on Thursday seeking answers to many questions, such as who changed the Lookout Notice, and demanded Jaitley's resignation. Addressing the media, Congress President Rahul Gandhi demanded Jaitely's resignation, accusing him of colluding with fugitive businessman Vijay Mallya "and giving him a free passage" to flee the country. 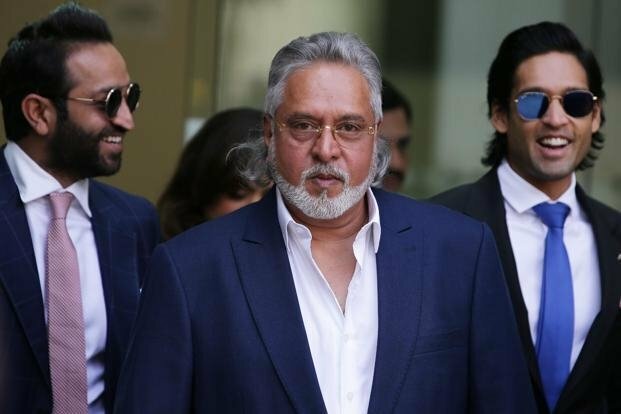 Vijay Mallya, head of the UB group and owner of the now defunked Kingfisher Airlines, is facing charges of bank fraud and money laundering amounting to Rs 9,000 crore.On Wednesday, Mallya said he had met and informed Finance Minister Arun Jaitley before “leaving for London” in 2016. “I happened to meet Jaitley in Parliament and told him that I am leaving for London… I did not have any formal meetings scheduled with him,” Mallya said. He also said that he had met Jaitley several times and expressed his willingness to settle the bank loans, as quoted by Free Press Journal. Picking holes in Jaitley's plea that the meeting with Mallya was not 'formal', senior COngress leade and MP, P L Punia, claimed at a press conference having an eyewitness account of the meeting between Jaitley and Mallya in the Central Hall of Parliament before the businessman fled the country on March 2, 2016. CPI(M) general secretary Sitaram Yechury, who was then a Rajya Sabha MP, also tweeted: "The fundamental point is how he got away despite “lookout notices”? Yechury told ANI that "It's a fact that all of us had known earlier. Whatever denials government may issue, it confirms that all those who looted public money by taking loans from banks & absconded, not one of them happened to leave the country without knowledge of the government." "Our first question is an absconder tells the Finance Minister that I am going to London and the Finance Minister doesn't refer it to CBI, ED or the police?" Interestingly, senior BJP leader Subramanian Swamy added some more fuel to the fire by tweeting: "I learn from my sources that the Lookout Notice issued by CBI for Mallya was modified from “Block Departure” to “Report Departure” on October 24, 2015 on orders from someone in MoF. Who?"